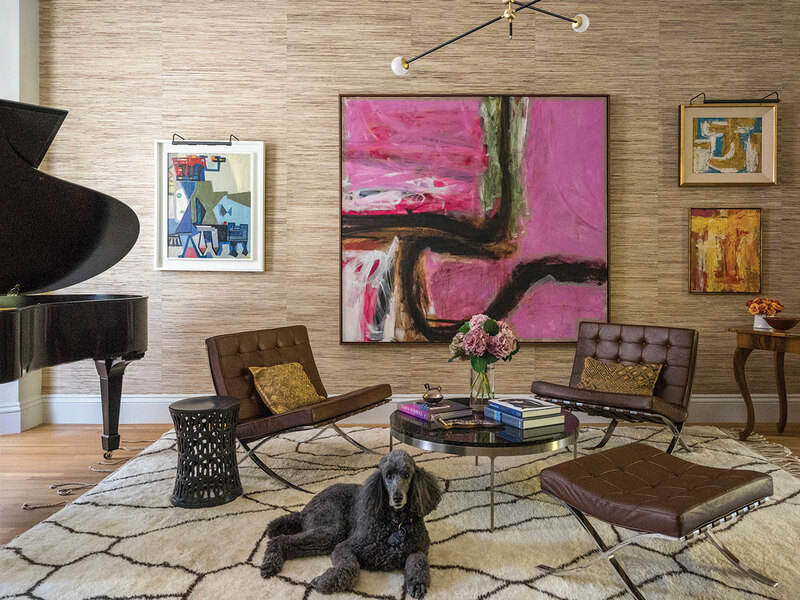 Abstract art, midcentury furniture and antiques live in bliss at a special South End town house. In the front parlor, two paintings by Fritz Bultman hang to the right of a larger work by the same artist, while Peter Busa’s “Beauty and the Beast” hangs on its right. In the front parlor—a painting by abstract expressionist Fred Bultman, who, like many of the painters in the homeowner’s collection, worked in Provincetown in the middle of the last century—dominates the space. A baby grand piano is nestled in the bay window and a pair of Barcelona chairs are conducive to listening to music, reading or conversation. The back parlor, with its comfortable sofa and replace with soapstone surround is the place to relax. At the touch of a button, the panel above the log storage slot slides back to reveal a TV. 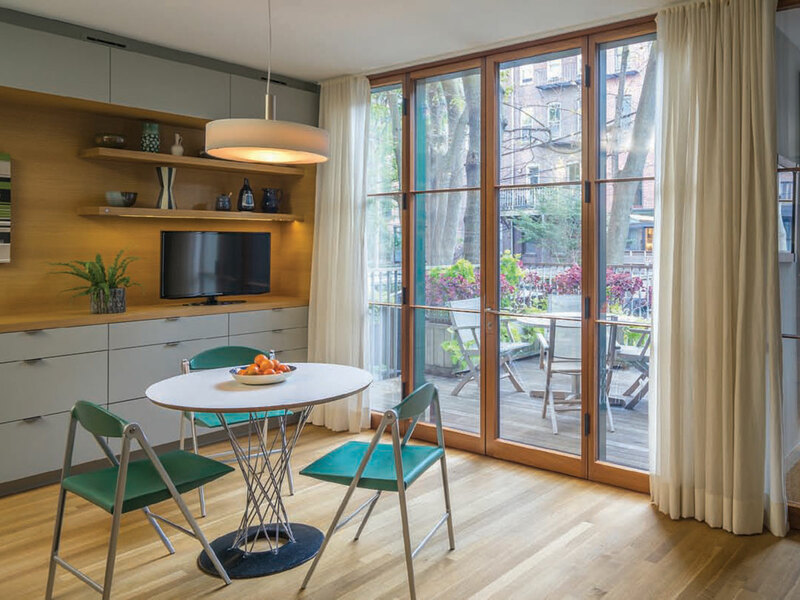 Butz + Klug redesigned the back wall of the room with alternating verticals of bookshelves and triple-hung windows, which create a balcony eect when the top two are open.